ELK GROVE, CA – July 12, 2017- NAI Northern California, the Bay Area presence for NAI Global, the largest commercial real estate brokerage network in the world, is proud to announce the $7.34 million sale of a Walgreens located in Elk Grove, CA. Vice President, Mary Alam, arranged the sale and represented both the buyer and seller in this off-market transaction. Mary Alam, who specializes in single and multi-tenant retail investment sales, indicated that this transaction reflects the continued demand for more secure real estate investments in light of negative news surrounding the state of brick and mortar retail. Drugstores have proven to be among the most successful and stable of retail tenants in this environment. 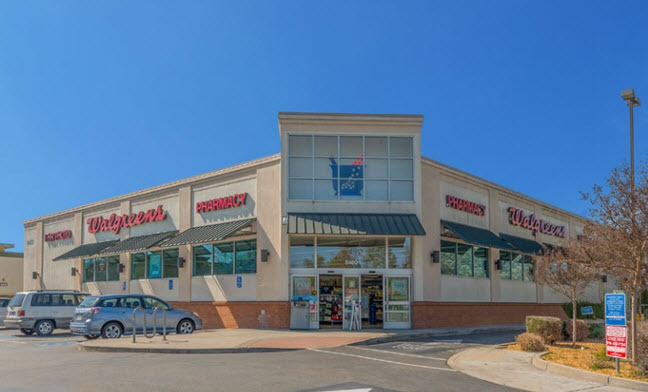 This 10-year-old, long-standing Walgreens purchased at a 5.64% CAP presents itself as a valuable opportunity as an absolute NNN investment providing a stable, trophy asset for investors. “This acquisition is a great addition to the buyer’s portfolio due to the high credit rating of the tenant, the long-term NNN lease with no landlord responsibilities, and a great location in Elk Grove which has consistently ranked as the fastest growing city in California,” said Alam. Located on 9200 Elk Grove Florin Road, this property stands on the busy four-way intersection of Elk Grove Florin Road and Bond Road with easy access to Highway 99. The 14,480 SF drugstore is the only large pharmacy within a one-mile radius and provides ample parking, a double-lane drive-thru window, as well as charging stations for electric and hybrid cars. NAI Northern California is at the leading edge of technology, collaborative culture, and training, giving our local professionals a competitive advantage and creating better outcomes for our clients. We are consistently a top Commercial Brokerage in the Bay Area, and continue to grow our team and revenues. NAI Global is the largest commercial real estate brokerage network. Founded in 1978, today NAI Global has more than 400 offices worldwide and over 7,000 professionals, managing over 425 million square feet of property. Global offices deliver market-leading services locally and combine their in-market strengths to form a powerful bond of insights and execution for clients with multi-market challenges.